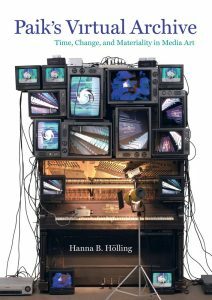 Andrea Gyorody reviews Paik’s Virtual Archive: Time, Change, and Materiality in Media Art by Hanna B. Hölling. Read the full review at caa.reviews. 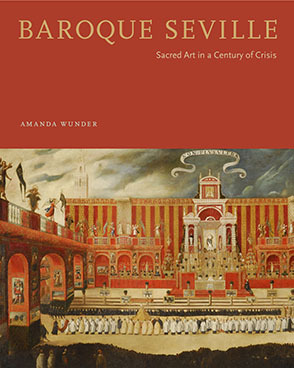 Lisandra Estevez reviews Baroque Seville: Sacred Art in a Century of Crisis by Amanda Wunder. Read the full review at caa.reviews. 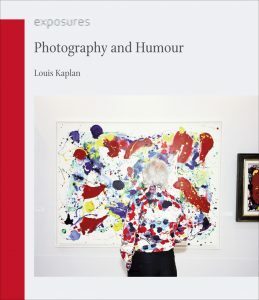 Sabine T. Kriebel reviews Photography and Humour by Louis Kaplan. Read the full review at caa.reviews. 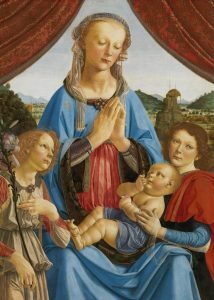 Andrea del Verrocchio and Leonardo da Vinci, The Virgin and Child with Two Angels, c. 1468–70. Courtesy National Gallery, London, via Apollo Magazine. 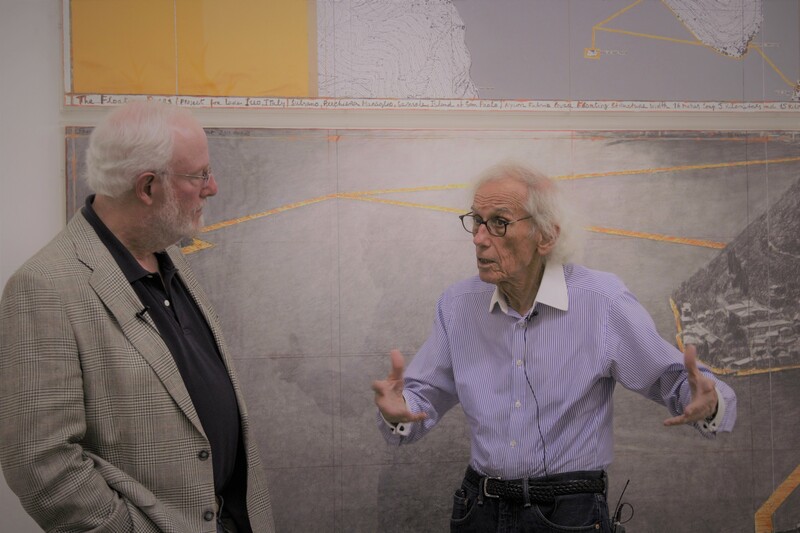 Jonathan Fineberg talking with Christo, a member of the advisory council and a model of the kind of creative thinking to which Fineberg hopes his students will aspire. Image courtesy Jonathan Fineberg. Earlier this year, the University of the Arts in Philadelphia debuted a PhD program based on the premise that creative thinking lies at the heart of innovation in all fields. A low-residency degree for advanced interdisciplinary research in the arts, humanities, sciences, and social sciences, the PhD in Creativity seeks to fundamentally change the way students think about research problems. The program offers intensive immersion in creative thinking, cross-disciplinary workshops for dissertation development, and a bespoke dissertation committee tailored to best serve each student’s individual dissertation project. The first cohort of students are applying now to begin in the summer of 2019. David Yager and Jonathan Fineberg met in 2015 at a conference on cross-disciplinary thinking in art and science sponsored by the National Academies of Science, Engineering and Medicine (part of the National Academies Keck Futures Initiative). Well known for his pathfinding work in medicine and design, the academies had asked David Yager to serve on the steering committee. The organizers asked Jonathan Fineberg to speak about his new book Modern Art at the Border of Mind and Brain, which crosses psychoanalysis and neuroscience with art criticism for a fresh perspective on the nature of creative thinking. At this conference, Jonathan and David began a conversation that led to their collaboration in creating this radically reconceived PhD. The PhD in Creativity commences in mid-June each year with an intensive, two-week residency in a curated sequence of arts experiences interspersed with 4 days of methods seminars. Students also begin to workshop their individual PhD projects during this time with support from their cohort and from the Program Director. The students meet again over a long weekend the following January, and again the following summer as they enter the final stages of research and begin writing in the second year. Most PhD programs commence with two or three years of training in methods and of mastery in the specialized knowledge of a discipline and then they administer a qualifying exam to determine if a student is ready to go on to the dissertation stage of the PhD. At University of the Arts, the PhD program looks at the MA-level training (done elsewhere), together with work experience, and a dissertation proposal as a kind of qualifying “exam” for admission and begins the program at the dissertation stage. The proposal must be interdisciplinary, preferably the kind of hybrid project that would not quite fit another PhD program. In the first summer, the cohort of peers from different fields and the program director critique each proposal in a workshop, set in the midst of a creativity immersion that attempts to break down the hierarchies of conventional training. Then a dissertation committee is formed around the needs of each student’s specific project, recruiting advisors from wherever the right advisors are to be found. CAA media and content manager Joelle Te Paske corresponded with program director Jonathan Fineberg earlier this year to hear his insights. Read their interview below. JTP: Who do you see applying to the program? What is the sort of background/research would you like to see them coming in with? JF: I’m already seeing, in the initial inquiries, exactly the kind of applicant I was hoping for: someone with a solid training in a field, and real experience putting their skills into practice, who then realizes they have an idea of how they might do things differently. I expect they will come with an MA, an MD, a law or business degree and have found a particular, hybrid project they’d like to explore for which they weren’t trained. I spoke with an extremely talented law school provost, for example, who is thinking about how the training of law school deans and presidents shapes the profession and I expect she’ll write an innovative book from this dissertation; a brilliant dancer with great performance experience came to me thinking about how dance companies are increasingly redefining themselves around discrete projects rather than continuing as companies and what that means both for the future of dance and for our culture more broadly; I spoke with a researcher at a drug company looking for a fresh angle on Alzheimer’s disease; and an experienced educator who is thinking about curricula for non-traditional learners. These kinds of projects will all be looking to a range of sometimes completely novel practices to infuse their investigations with fresh air. JTP: The timeline of three years to completion is impressive. JF: Both because these students are a little older and highly motivated and because the advising is carefully orchestrated and very hands-on, we expect the dissertations to move along more quickly than is often the case. Though in many programs you can complete the dissertation in three years after you finish the MA; it’s just that we effectively outsource the MA and ask for a little more real world work experience before you start. JTP: The advisory council for the program is diverse in discipline – how did that come together? JF: The people on my advisory council are all extraordinarily creative individuals who embody exactly what I hope my students aspire to as innovative researchers. So, these people serve both as inspiration and also as resources for great advice about how to build this program and where to find the right advisors for the students’ projects. Because I’ve had a long and varied career myself, I’ve encountered many remarkable people in a wide variety of fields whom I know well enough to ask for their thoughts. …it resides in an art school precisely because no one is better than artists at breaking down conventional thinking. If you’ve been well trained in a field it takes years to get over that training. JTP: How do you see the location of University of the Arts in Philadelphia informing the program? JF: Although the program will take students in any field, it resides in an art school precisely because no one is better than artists at breaking down conventional thinking. If you’ve been well trained in a field it takes years to get over that training. It’s not a bad thing to be trained well, but we hope to instill more irreverence at the start. JTP: The “curated sequence of arts experiences for an intense course in creativity” is very intriguing! What sort of arts experiences? JF: Imagine yourself walking into a session of jazz drummers improvising and then having them hand you the sticks; you’d have to think fast and experiment to take over. That’s the kind of experience. Imagine hearing a major artist relive the thought process from which she or he generated a work or have a gifted theater director show you how to find a character within your own personality in the morning and then trying to create a performance for that character in front your group in the afternoon. Students will by and large have no tools for these kinds of experiences, forcing them to create a structure in their own heads to bring coherence to the experience. University of the Arts in particular has an array of talented artists who can create these sorts of simultaneous baffling and exciting experiences and because they will come one after another in a compressed time period the students will get faster at adapting and responding. This will also reinforce the effect of having really smart non-specialists cross question you about your project: you can’t use field jargon and you have to make sense. That will be happening in the workshops in the midst of the immersion course and the unusual methods readings. JTP: What made you create this program? JF: When I met David Yager, he was on his way to become the new President of the University of the Arts after having been a very successful dean at the University of California – Santa Cruz for some years. I had just retired from The Phillips Collection and the University of Illinois where I had been supervising PhDs for forty years. I was thinking about what to do next because I wanted to try something new in a new place just to mix things up for myself. In Modern Art at the Border of Mind and Brain I had attempted to make a scientifically grounded argument that we need works of art to develop our creative response to the world; I tried to show the evolutionary basis of art. That prompted David and I to start talking about how we could teach creativity in a PhD program to produce more creative researchers in whatever field they happened to be in. This is that program. JTP: What would you say to naysayers of an expanded program like this one? JF: This program is not for everyone. It’s great to be an outstanding practitioner in an established field. But for this, you have to have had the experience of coming up against the limits of your training, to feel that you have an idea that you weren’t prepared to deal with, and to believe you can create something really new. I’m excited to meet these new students! Learn more about the PhD in Creativity. 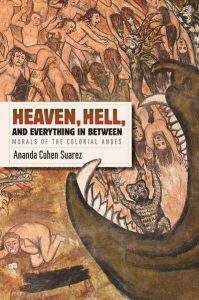 Carol Damian reviews Heaven, Hell, and Everything in Between: Murals of the Colonial Andes by Ananda Cohen Suarez. Read the full review at caa.reviews. 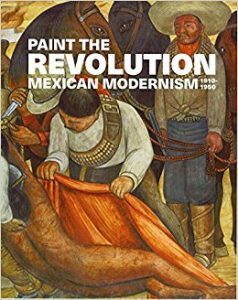 Cindy Teresa Peña writes about Paint the Revolution: Mexican Modernism, 1910–1950 edited by Matthew Affron, Mark A. Castro, Dafne Cruz Porchini, and Renato González Mello. Read the full review at caa.reviews. 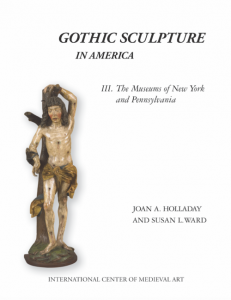 Brigit Ferguson discusses Gothic Sculpture in America III: The Museums of New York and Pennsylvania, edited by Joan A. Holladay and Susan L. Ward. Read the full review at caa.reviews. We’re pleased to announce the opening of three publications grants for 2019, the Terra Foundation for American Art International Publication Grant, the Wyeth Foundation for American Art Publication Grant, and the Millard Meiss Publication Fund. 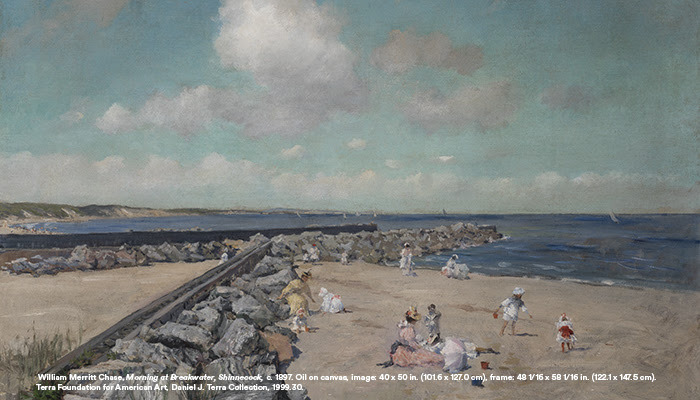 The 2019 Terra Foundation for American Art International Publication Grant provides financial support for the publication of book-length scholarly manuscripts in the history of American art circa 1500–1980. 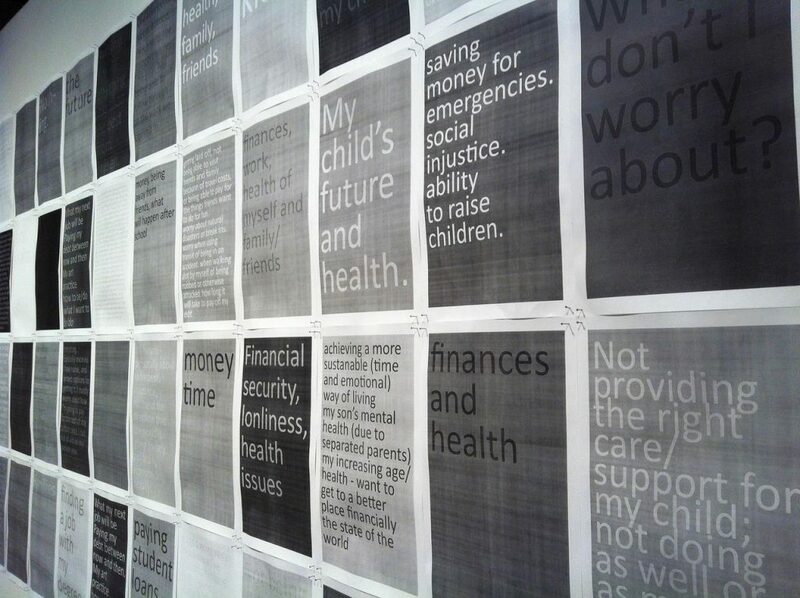 The grant considers submissions covering what is the current-day geographic United States. Learn more about the Terra Foundation for American Art International Publication Grant. Since 2005, the Wyeth Foundation for American Art has supported the publication of books on American art through the Wyeth Foundation for American Art Publication Grant, administered by CAA. For this grant program, “American art” is defined as art created in the United States, Canada, and Mexico. Eligible for the grant are book-length scholarly manuscripts in the history of American art, visual studies, and related subjects that have been accepted by a publisher on their merits but cannot be published in the most desirable form without a subsidy. The deadline for the receipt of applications is September 15 of each year. Learn more about the Wyeth Foundation for American Art Publication Grant. Books eligible for a Meiss grant must currently be under contract with a publisher and be on a subject in the arts or art history. The deadlines for the receipt of applications are March 15 and September 15 of each year. Learn more about the Millard Meiss Publication Fund. 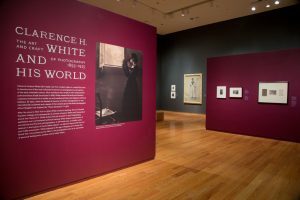 Ellen Handy reviews Clarence H. White and His World: The Art and Craft of Photography, 1895–1925 by Anne McCauley. Read the full review at caa.reviews. 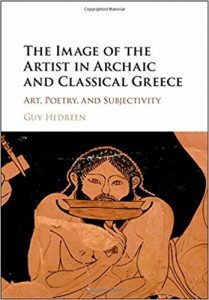 Jenifer Neils writes about The Image of the Artist in Archaic and Classical Greece: Art, Poetry, and Subjectivity by Guy Hedreen. Read the full review at caa.reviews. 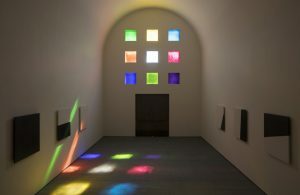 Eric Michael Wolf discusses Austin by Ellsworth Kelly, and the exhibition Form into Spirit: Ellsworth Kelly’s Austin at the Blanton Museum of Art. Read the full review at caa.reviews. 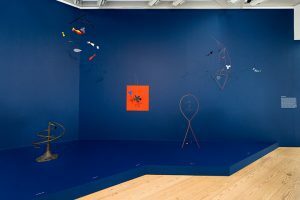 Christopher Kasprzak explores the exhibition Calder: Hypermobility at the Whitney Museum of American Art. Read the full review at caa.reviews. 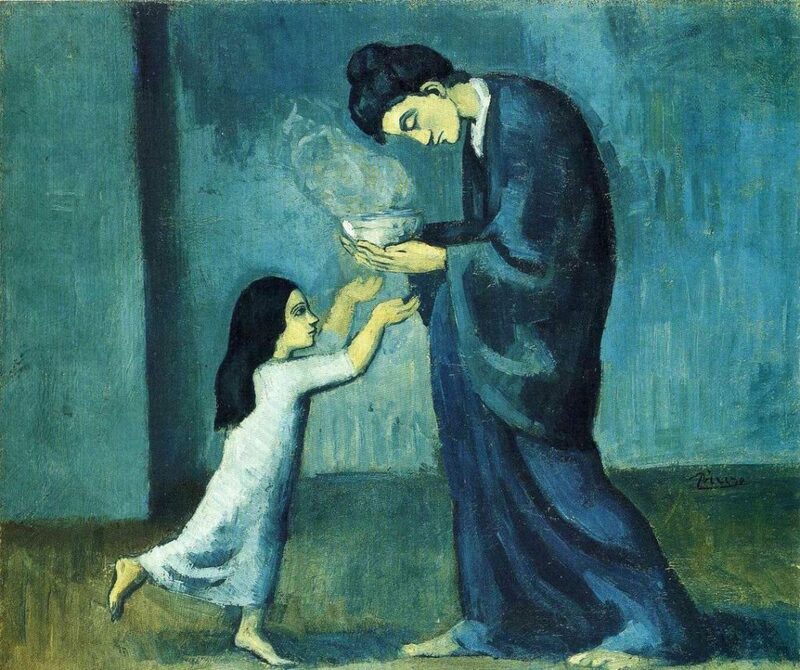 Pablo Picasso, La Soupe (1902–03). Courtesy of the Art Gallery of Ontario, via artnet News.